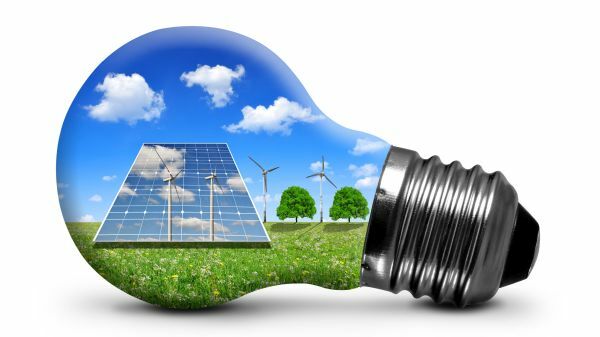 Alternative energy is a highly contemporary and in-demand area of research. In addition to potentially seeing your work put into action, it offers a huge array of satisfying benefits: contributing to environmental conservation, economic savings, benefits to less-advantaged parts of society; the list goes on. This gives researchers a clear path to seeing their work have real-life impact. Moreover, research is urgently needed to help industry meet demand; this demand is not only driven by market forces. And most governments have policies encouraging renewables, because they are committed to fighting climate change, or at least demonstrating they are. China, for instance, is expected to consume 23% of the world’s energy by 2035. Yet it has announced it has scrapped plans to build 85 proposed coal-fired power plants. Instead, by 2020, it will invest $360 million in renewable energy, while further trying to reduce its dependence on coal. Indeed, many of the opportunities for research occur in countries that have set ambitious targets for increasing renewable energy. Industry, however, is border-independent, and also offers forums for researchers to continue their work, and be paid for it. Here we’ll look at what it takes to make an impact in this area, and where that impact can be made. Renewable energy research is multi-disciplinary, and calls upon a range of abilities. A good place to start is an undergraduate degree in subjects such as physical sciences, engineering, environmental science, statistics, from which point you can work up to a higher degree. With great potential seen in a wide range of energy sources, there is much for aspiring researchers to choose from. However, some themes are in particular need of attention. These areas are also attracting increased funding. In most cases, the national governments direct funding universities and research institutes, as well as international collaborations. In advanced stages of research, collaboration involves companies in trying out models; in these cases you have the chance to work on industrial applications as well. Some large corporations, such as Tesla, invest in their own R&D departments for exploring technology they will need to keep pushing the boundaries. Large companies can be an excellent place to check for research posts. The World Economic Forum has identified overwhelming emphasis on clean energy needs, and that sets the tone for these key areas. At the present, the leading priority is improving storage of energy from renewable sources such as solar and wind. Intermittency is one of the biggest problems facing these two energy sources, as their production can fluctuate, even within a day, depending on the weather. Batteries used to store energy are also one of the most expensive components in the use of renewable energy. These can vary from small units used with rooftop solar home installations or those for storing power at solar and wind generation plants. Even though the capacity of lithium ion batteries is improving, you may be surprised at the number of alternatives being developed. Advanced materials such as magnesium, vanadium, calcium, sulfur, and lithium-air batteries are receiving increasing attention, all making energy storage research a vast field. Many of the universities that offer research programs in storage capacity are based in the United States. At the Massachusetts Institute of Technology (MIT) and Virginia Tech, work continues on scalable sulfur batteries. Texas A&M University is concentrating on magnesium batteries. The governmental Argonne National Laboratory and the University of Illinois, both near Chicago, are working on lithium-oxygen batteries. Those interested could find jobs with these companies to continue research and technology development aimed at practical applications. China is leading the way in investing in next generation batteries, and plans to install them to store the energy produced from new large-scale solar and wind capacities. The country is expected to soon be a world leader in not only producing solar panels but also lithium batteries, and these can be then subsequently be used to generate electricity. For example, China’s vanadium flow batteries built by Pu Neng are the largest of their kind in the world. The second research priority is developing smart grids, especially micro-grids, to deal with intermittency. These rely heavily not only on digital technology, but also on compatible hardware. So if you are an engineer, a software specialist, or from the physical sciences, this area of study may suit for you. Two types of grids are being studied: transmission grids and distribution grids. 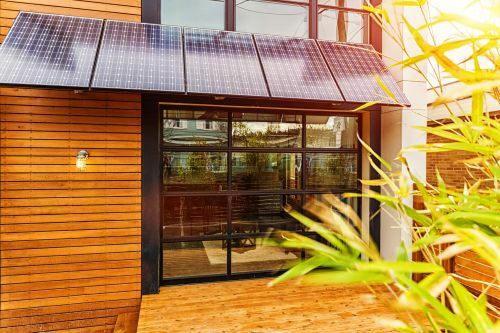 Since solar and wind sources are increasingly becoming decentralized, distribution grids are necessary to collect energy from multiple generation points. As production of energy increases, it is necessary to either expand the network or make it more flexible and smarter through digitalization. Smart and better grids are needed to carry the increased loads of electricity, as well as balance supply and demand. For example, in Germany, the new wind power stations are in the north, while industries that need this energy are in the south. If you’re interested in grids, there is probably an institute not too far away that offers a suitable research program, as this is such an important theme. The UCLA Smart Grid Energy Research Center (or SMERC), in Los Angeles, works with the US Department of Energy. Here you can work on improving grid flexibility and efficiency, integrating renewable energy and electric cars, reducing power outages, and making the pricing of electricity competitive. The State Grid Smart Grid Research Institute (SGRI) in China is a prominent research institute engaged in this field. SGRI is directly funded and controlled by the Chinese government. Other universities where you can conduct research in smart grids are Boston University and University of Maryland in the US, Tianjin University in China, the University of Bradford and University of Birmingham in the UK; and the National Research Foundation in Singapore. The MSc SENSE is a post-graduation program open to international students and is accredited by the European Institute of Innovation and Technology (EIT). This program is offered jointly by seven universities in France, Sweden, Belgium, the Netherlands, and Spain. Scholarships are available, regardless of your nationality. One of the most important group promoting smart grids is the Institute of Electrical and Electronics Engineers (IEEE) Smart Grid. This is the largest global technical organization in the world. Their Grid Vison 2050 is to develop solid state transformers, wireless beamed power, quantum key distribution, network architectures, and overlays. The IEEE is involved in the development of new technology by building collaborations among different organizations, so it should be possible for you to work on practical applications through them. Many regions across the globe are investing in grids, the prominent countries are the US, EU, China, and India. Other countries that are attractive markets for this technology include Japan, South Korea, Australia, Canada, Russia, and Singapore. Research in electric vehicles (EVs) is also about energy storage and grid management, but addresses problems specific to automobiles. 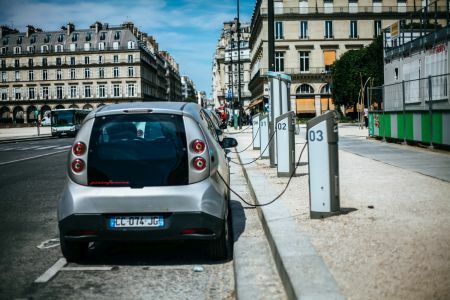 Government policy and market demand are coming to favor EVs. The increase in battery capacity increases the range of EVs and how far they can drive on a single charge. Moreover, when the grid is stabilized, there can be more EVs on the road. Research is conducted to optimizing battery performance in conditions specific to automobiles. Research at the University of Wisconsin (USA) looked at the effects of cold winter temperature on the thickness of the SEI layer. The findings could potentially prolong battery life if industry adopts them. The U.S. Department of Energy's National Renewable Energy Laboratory (NREL) conducts consumer research. Study there is looking at the impact of domestic electricity withdrawal by plug-in cars on the electricity grid. NREL wants to model smart grids of the future using this information. If you have computer stimulation skills, you may wish to apply for this research. Photovoltaic solar and onshore wind power became economically viable options because their efficiency was improved, and owing to a fall in operating costs. Other sources such as geothermal, concentrating solar power (CSP), and offshore wind power need more research to make them economically attractive. To this end, the EU is prioritizing research in these areas through its funding; therefore, the largest portion of its €212.5 million funds for renewable energy research, were allotted for this purpose in 2018. CSP is meant for large-scale solar energy productions. This technology produces energy using solar heat that can be stored. Instead of photovoltaic panels, CSP uses mirrors and reflectors to harness sunlight to produce heat, which in turn generates electricity. Moreover, hybrid plants can combine CSP and other sources of energy to maintain a continuous supply of electricity for cities or an entire region. This increases its appeal for immediate implementation. Because of the space needed, CSP plants are usually located in deserts where the incoming solar radiation is also optimum. The University of Perpignan in France conducts research and also offers courses for post-graduate students on CSP. The NREL is at the forefront in the US, bringing together universities and industries, to develop CSP. It is are interested in high-flux solar furnaces, large-payload solar trackers, advanced optical materials, advanced thermal storage materials, and optical characterization. So if you’re interested in hands-on work in producing new technology, NREL merits consideration. The US has been a world leader in CSP with desert installations such as Mojave, Genesis, and Solana. Now nine other countries with abundant sunlight—Spain, Australia, China, India, Morocco, South Africa, Chile, Saudi Arabia, and UAE—also want to substantially invest in this technology. The best wind resources are available offshore, but there are very few offshore wind power facilities in the world. This is because fixed structures are viable only in shallow seas. Therefore, floating wind turbines are being developed for deep seas, because these are the places where wind power is most abundant. UK and Chinese scientists are cooperating on five projects to produce the next generation of floating wind turbines. They are focusing on load reduction of floating offshore wind platforms by taking environmental conditions into consideration. The project is funded by UK’s EPSRC and the Natural Environment Research Council, and the National Natural Science Foundation of China. The Technical University of Denmark offers a Dual Degree Programme in offshore wind energy engineering, with the Korean Advanced Institute of Science and Technology (KAIST). In this post-graduation course you get to spend one year in Denmark and one year in Korea, and get degrees from both universities. The University of California (US), Durham Research Institute (UK), and The University of Tokyo are some other universities that can be considered for research on offshore wind turbines. The UK has in many ways been the world leader in both research and use of floating wind turbine. Norway is now getting more involved. At Norway’s SINTEF Ocean's SeaLab facility you’ll find researchers and industries working together conducting research and testing floating offshore wind power models, which are ready for the market. Europe is by far the top market for offshore floating wind power. It is using wind power to provide electricity, and move away from fossil fuels. In 2017, there was a 25% increase in this sector. The UK, Germany, Denmark, the Netherlands, and Belgium are countries that have most of the offshore installations. Geothermal heat is produced underground in the Earth, and is available in different forms, such as hot water or dry heat from the Earth’s crust. Geothermal heat is harnessed by specific technologies depending on the type of geothermal heat used. These can be small, decentralized units for heating, cooling, and electricity generation at home or institutions. The energy can also be used at district level for heating, or to generate power for electricity. This energy source is stable and unaffected by climatic conditions, but is underused; the main reason is the high initial capital costs. The University of Adelaide is part of the South Australian Centre for Geothermal Energy Research. Research is conducted here on fluid rock interactions, crustal stress characterization, development of geophysical tools, and fracture modelling to make this energy cost-effective. Top institutions conducting research in geothermal energy are Durham University, Cranfield University, University of Exeter and University of Cambridge in the UK, the University of Bern in Switzerland, and the University of Portland in the US. Bern is studying aquifer-hosted, fracture-hosted, and petrothermal systems, as well as mineral scaling and corrosion in geothermal systems. The Iceland School of Energy at Reykjavík University offers a master’s program in sustainable energy, where geothermal and other renewable energy are covered. Here you can study business solutions as well as the science of these energy sources. 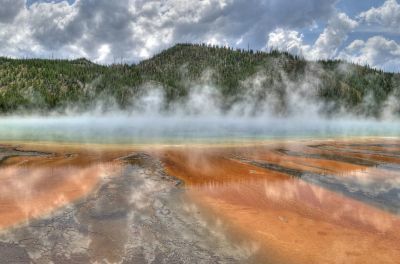 The European Geothermal Energy Council funds research, innovation, and demonstrations of new techniques by involving not only research institutes but also consider tenders from industry, thereby encouraging their involvement. Since these funds are meant for European organizations, you would have to work or study in Europe to take advantage of these grants. China and Turkey account for 80% of geothermal energy use, which is generated through small-scale units. Turkey uses 30% of its capacity in agriculture. The US, Indonesia, and the Philippines are other major users of this energy. The largest expansion will be in China, which is seeking to reduce air pollution. Germany, France, the Netherlands, and Hungary are investing in district-level geothermal plants for heating. The main research efforts concentrate on improving energy efficiency of established energy sources to meet the targets set by The Paris Agreement to limit climate change. However, that has not stopped exploration of new venues like using algae for energy. If you have an idea that could produce clean energy, you just might get funded.